Building pathology provides an interdisciplinary approach to the study of defects and performance in order to develop appropriate remedial and management solutions. It considers how the structure and materials of a building relate to its environment, its occupants and the way the building is used, so as to develop a better understanding of building failures. 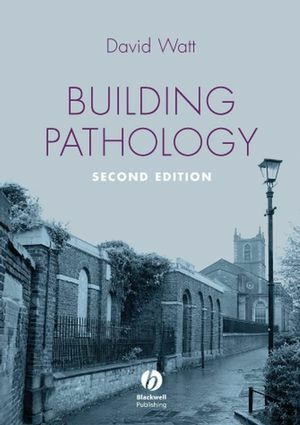 This book provides a well illustrated introduction to the discipline of building pathology, bridging the gap between current approaches to the surveying of buildings and the detailed study of defect diagnosis, prognosis and remediation. It features a number of case studies and a detailed set of references and further reading. This second edition has been updated to reflect changes in legislation, guidance and construction, and provides new case studies that demonstrate the breadth and depth of the subject. David Watt is a chartered building surveyor and historic buildings consultant, working as Associate Director with Hutton + Rostron Environmental Investigations Limited. He is also Honorary Senior Research Fellow in the Centre for Sustainable Heritage at University College London. He has worked in both private and public sectors, and was Conservation Officer with Norfolk County Council between 1991–6 and Senior Research Fellow at De Montfort University between 1996–05. He is co-author of Surveying Historic Buildings and Measurement and Recording of Historic Buildings, and was Editor of the Journal of Architectural Conservation for ten years until 2005. 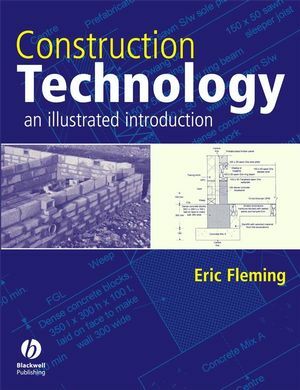 Understanding buildings; Building performance; Defects, damage and decay; Survey and assessment; Remediation in practice; Building management and aftercare; Appendix A - Requirements of Schedule 1 to the Building Regulations 2000; Appendix B - Hazard identification checklist; Appendix C - Useful addresses; Glossary; Index.